Home /Demographic Challenges, Environment, Pakistan, Youth/Mainstreaming youth in development planning in Pakistan: realistic or not? The theme for International Youth Day 2018 is Safe Spaces for Youth. Youth need safe spaces where they can come together, engage in activities related to their diverse needs and interests, participate in decision making processes and freely express themselves. This opening up of spaces to young people is an integral component of youth-led development. It is rooted in the belief that young people are valuable assets and resources and that their energies and talents should and can be brought to the table. The recently published Pakistan National Human Development Report 2017 (PKNHDR) acknowledges the demographic opportunity of letting young people lead development in Pakistan and how focus on 3 E’s can help effectively unleash their true potential: education, employment and engagement. 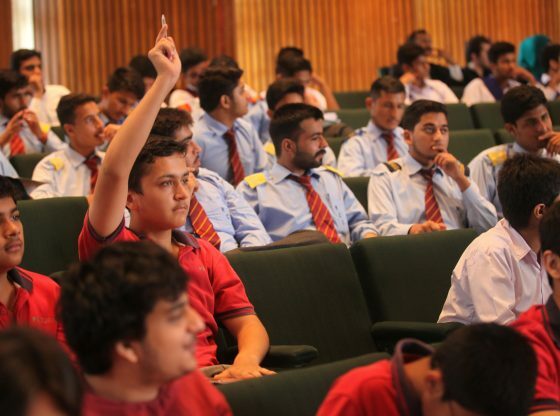 The report stresses the need to rethink youth-focused multi-level policy and programme design process in Pakistan. Instead of creating balkanised policies and sloganeering youth development, it recommends to apply a cross-sectoral approach to youth policy making. This cross-sectoral approach can provide a pragmatic answer to two challenges: the sheer size of the youth population makes it a key stakeholder for all policies (not just youth-focused); and the poor implementation and marginalisation of youth policies and institutions in the past. The report goes on to suggest the use of ‘Youth Impact Assessments’ as a tool for mainstreaming youth development in all policy design processes in Pakistan at federal and provincial levels. In other words, put every policy draft through a ‘youth test’. But is this realistic? It might seem idealistic at first, but it can be effectively integrated in the policy design process. Several countries already do this for various issues including gender, environment, disability and diversity. PKNHDR suggests basing the Youth Impact Assessments (YIA) on the already established mechanism of the ‘Environmental Impact Assessment’ (EIA) in Pakistan. EIA can be used as a probable template by Planning Commissions and civil society actors at the federal, provincial, and local body levels to gauge how the proposed policy or programme will impact Pakistan’s youth and quality of services for the youth. But to implement it in its true essence, several issues around holistic public participation and institutional governance frameworks need to be considered. Khalid (2017) observes that the implementation of EIAs in Pakistan is far from ideal. He identifies the following key constraints with the EIA process in Pakistan: ‘lack of institutional coordination at provincial level; common bypassing of legislation in favour of business development, for reasons of political expediency; procedural delays and weak monitoring structures; and, language of the EIA is foreign (English) therefore the general public especially in rural areas cannot participate effectively in public hearing processes’. 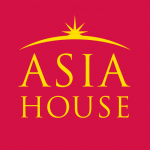 So, what is the best template for YIAs in Pakistan? A flagship report released by Commonwealth Secretariat in 2017 provides a guide framework for youth mainstreaming in development planning. Based on this framework, YIA in Pakistan can be developed as a key tool for incorporating youth capacities and rights in analysis, planning, implementation and the measurement of outcomes at all levels of the development process. The report acknowledges that youth mainstreaming requires a transformation of institutions and professional capacities to open up institutional scrutiny by and for youth (and other marginalised groups). However, before this can happen a transformation of mindsets and social norms is needed that affords power and voice to young people in development planning across sectors. 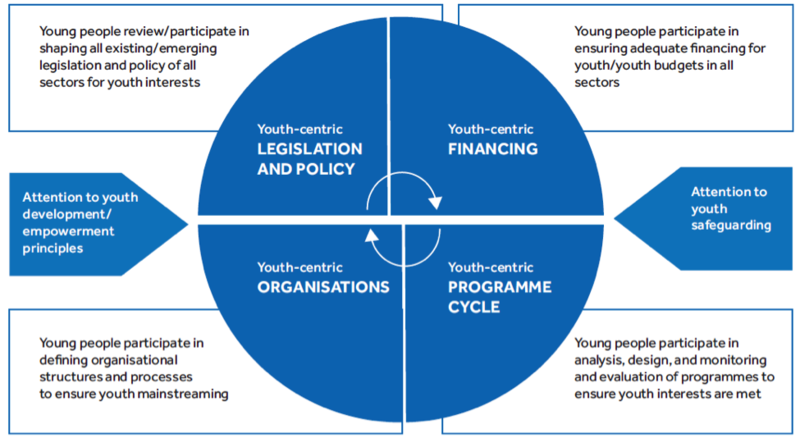 A call for youth mainstreaming should not only focus on policy development but also ‘connect the dots’ between legislation and policy, finance and political commitment, organisations and programmes within the context of a comprehensive sociodemographic lens in all planning as shown in the figure below. For this to become a reality, planning processes should be holistic, and need to be self-reflective and open to self-critique and innovation. Instead of introducing YIA as a stand-alone tool to use for each policy or programmatic evaluation, the tool should be a part of a broader strategic direction towards long-term vertical and horizontal accountability to young people. If you want to effectively involve young people, just don’t involve young people but institutionalise its leadership for an efficient and effective youth-driven development in Pakistan.